We had an amazing Peace Project in Victory Memorial Gardens Wagga. Thanks to Henschke Catholic Primary School and St. Joseph’s Primary School Junee for bringing some of your wonderful students. 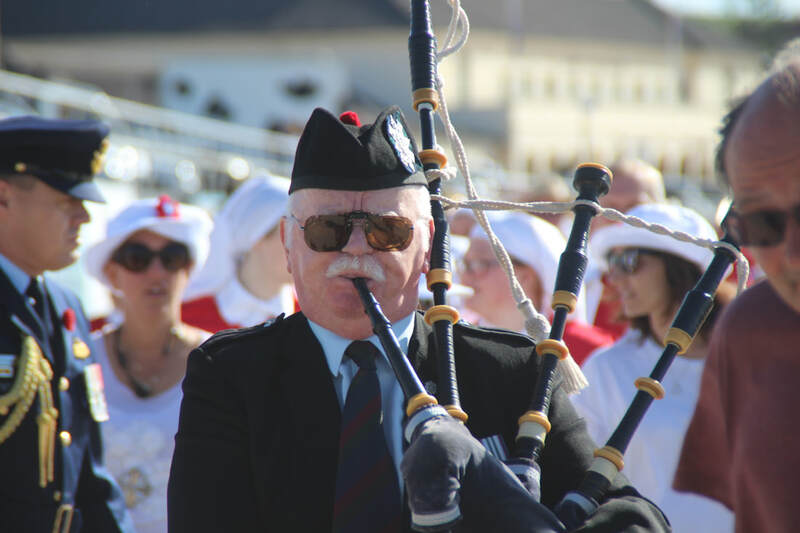 A big thank you to the Wagga RSL Sub branch for their support in making yesterday so memorable. And finally a massive thank you to the The OZY Youth Choir Honouring Defence Service members and family for their hard work. What is the peace project? ​Imagine an iconic beach, voices raised in solidarity and a powerful image being captured. A hundred years ago, schools across Australia came together in a series of patriotic displays. Tickets were sold, with all funds raised going toward the war effort. The Children formed the map of Australia, the Red Cross emblem at its centre. 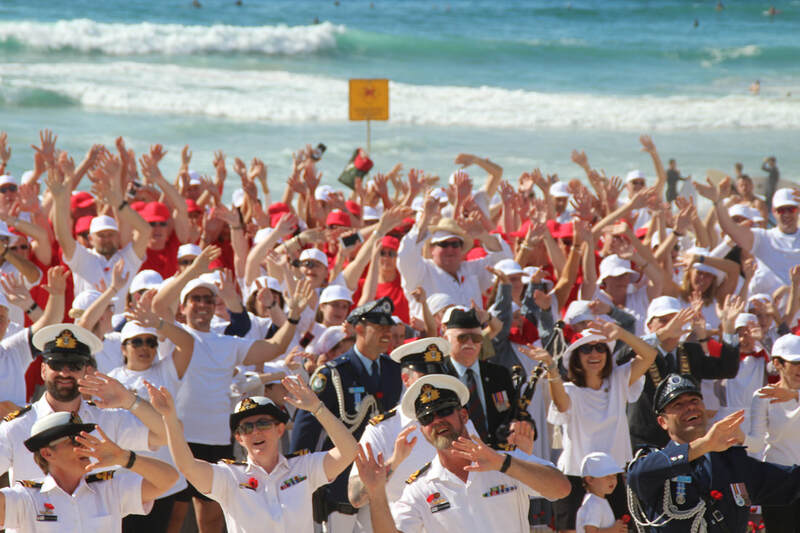 On Remembrance Day 2017, the Peace Project for 2018 was launched on Bondi Beach. ABC reported “Today on Bondi Beach, a new way of remembering was born” and Sunrise did a live cross from the event on the beach. 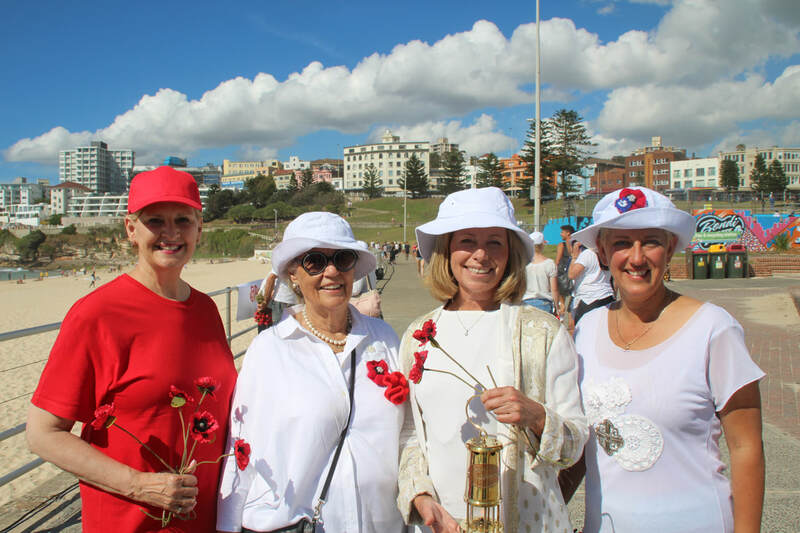 The RSL Youth Choir invited schools, RSL clubs, families and whole communities to stand together with their Peace Partners as hundreds came to rethink remembrance and recreate a magnificent photo in this iconic location. 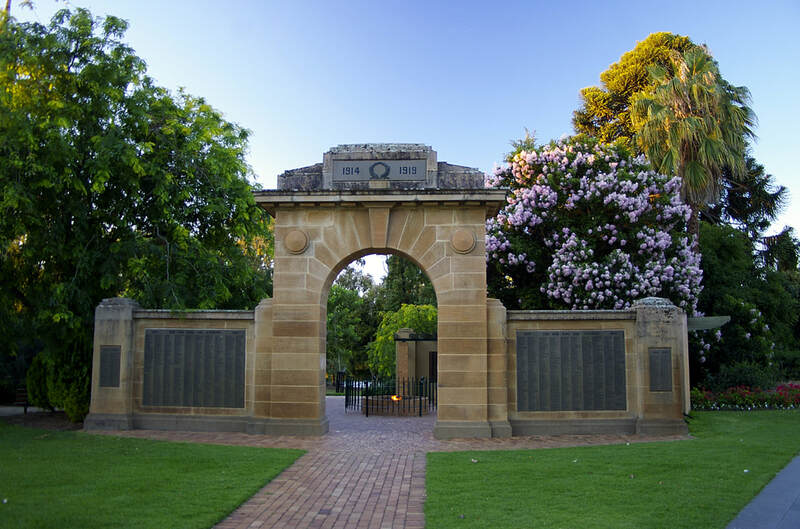 Remembering all generations of service men and women and their families, they sang in remembrance, for peace and for mateship. It was a special moment when everyone came together in song, “I say thank you for serving our nation....”. Imagine what your school, community or organisation could do in your local area this year on 11 November for the Centenary of Armistice! 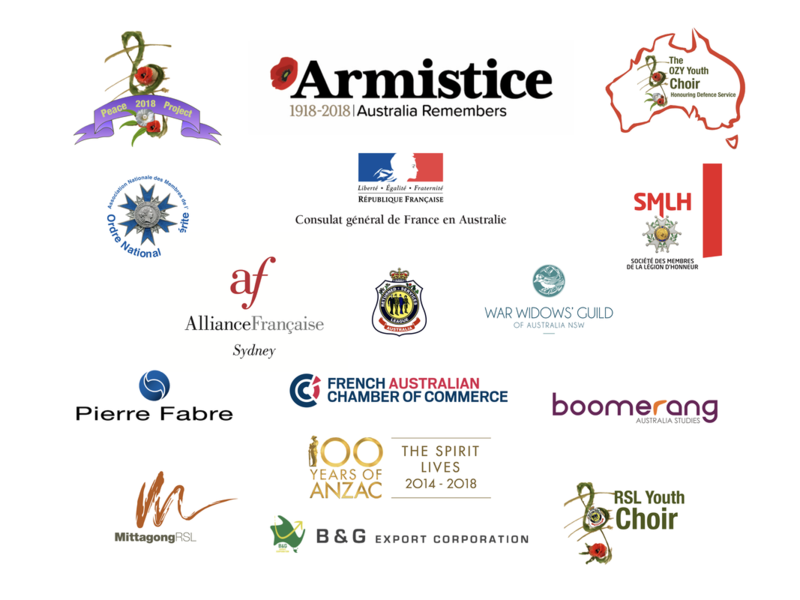 Become a Peace Partner and join us and other communities all over the nation as we stand and sing together as we look back and #rethinkremembrance, #singtoremember, #honourtheirservice and #honourtheirfamilies and as we usher in the Centenary of the Year of Peace for 2019. The red cross emblem is reproduced with consent of the Minister for Defence under the Geneva Conventions Act 1957. In armed conflict, the red cross, red crescent and red crystal mean 'don't shoot!’ Misuse of the emblem in peacetime diminishes its protective power when it is most needed: in times of war and is a crime. You can help by avoiding (and reporting) misuse of the emblem in Australia. Download the Emblem App http://redcross.org.au/TheEmblemApp to report any misuses you see, or email emblemmisuse@redcross.org.au . For more information see the Australian Red Cross Emblem Guide https://redcross.org.au/about-us/the-emblem/guide-to-emblem-use . Copyright 2018 by The OZY Youth Choir Honouring Defence Service, Inc.